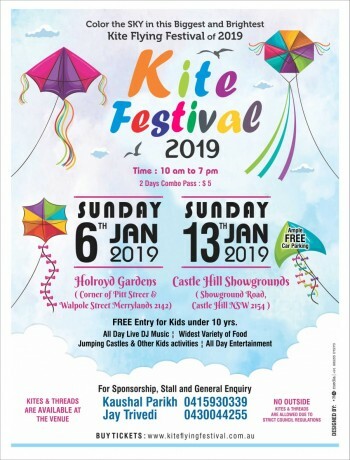 Join us to be a part of the most awaited event of the year – Kite Flying Festival 2019 – Sydney. This community event has lots of activities and entertainment for all ages. Kites and Thread are Not allowed from outside. Purchase from the Stalls available inside the Venue.